T‌he era of electromobility presents new challenges which must be mastered by both man and materials. Today, neodymium-iron-boron-magnets are used in areas in which strong magnetic fields at low volumes and low weights are necessary. These so-called rare earth magnets guarantee the resource conservation of raw materials, weight reduction of the drives and longer service lives required of permanent magnets. However, they are more complicated to manufacture than conventional magnets. A decisive factor for the quality and properties of permanent magnets is a raw material with a narrow particle size distribution with the lowest possible fraction of finest- (< 2 μm) and coarsest particles (> 8 μm). 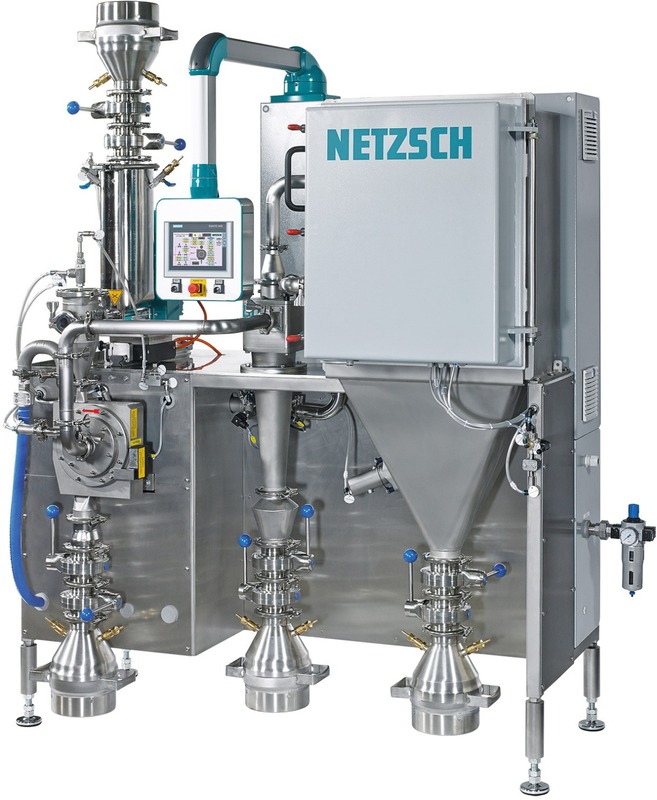 With NETZSCH M-Jet, a combination of a spiral jet mill with a dynamic air classifier, highest reproducible finenesses independent of the load in the gas jets are obtained. 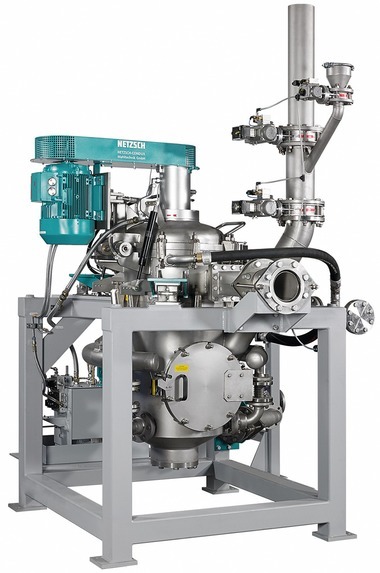 A decisive advantage of the M-Jet compared to fluidized bed jet mills or target mills is the possibility of the automatic rejection of components which are difficult to grind. This requires only a few seconds and takes place during operation of the M-Jet. 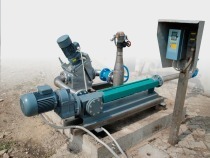 The overpressure in the mill ensures that components which are difficult to grind are transported into the filter. In this way, there is absolutely no problem caused by contamination of the product-conveying piping with coarse product particles and/or these problematic components. 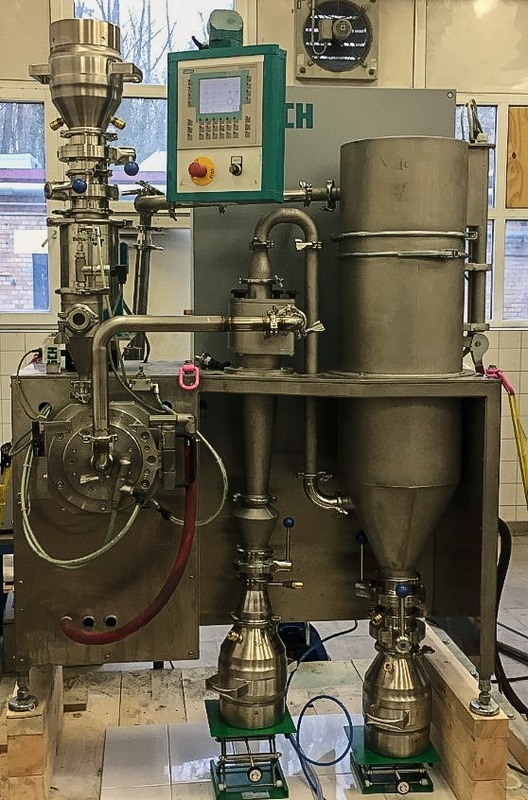 Furthermore, due to the differences in design, the product content during the grinding phase of an M-Jet is 20 to 25 times lower than that of a fluidized bed jet mill with the same amount of grinding gas. At the same time, this results in an extremely low product loss during product change due to the smaller volume of the grinding chamber. 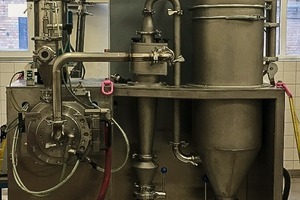 In addition to this, practically no fluctuations in throughput capacity and especially in the particle size distribution occur during start and stop of the plant. 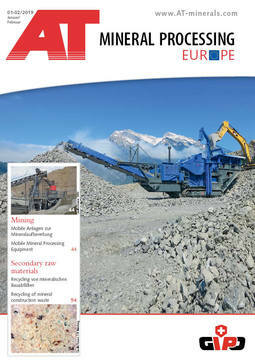 Furthermore, a selective grinding of individual alloy components does not take place. The dynamic air classifier integrated in the M-Jet ensures a clearly defined maximum particle size of the ground product. 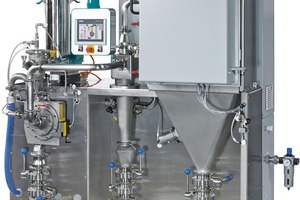 In a subsequent step, undesirable finest particles are separated out by classifying the ground material with a NETZSCH High-efficiency Fine Classifier M-CLASS to obtain a powder with a defined, narrow particle size distribution. Compared to a ground product with a d10 value of 1.54 μm, the d10 value of the subsequently classified product is 2.03 μm and the proportion of ultra-fine particles < 1 μm is almost 0.0 %. The d90/d10 value also improves significantly from 3.6 to 2.6 (each with d50 = 3.0 μm) after additional classifying.